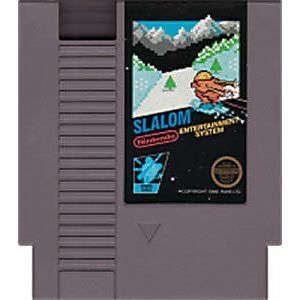 Slalom original NES Nintendo Game cartridge only - Cleaned Tested and Guaranteed to Work! It's a Nintendo black box game, it's going to be good. Easy to pick up and it gets difficult quick, great to compete with a friend. 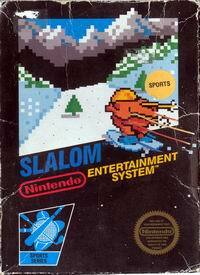 I got this game thinking it would be meh ok and figured it would be like the old atari version of a small guy dodging obstacles on a projected overhead view. Wrong. It was more of a 3-d game and it was a lot better than I expected. It was better than a couple of the more expensive games I bought with it. 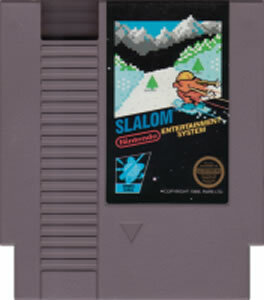 Its fun and has some replay value to it also. However it wasnt amazing or anything. But its made by nintendo and their games are almost always fun to me.